My eyes have been glued to my computer screen at work all week as I organize and revamp our operations, and yesterday, it got to the point that it felt like my contact lenses were sucking on my eyeballs. It sounds terrible, and it feels terrible. I had to keep reminding myself to blink more often. ;) Fortunately, my eyes will catch a break this weekend... as they read a textbook. Yipee. I'm ready to power through! Mr. TBS surprised me with tickets to Shen Yun in December! This award-winning touring company revives Chinese tradition through dance and original music. It looks incredible! Can't wait! Do you guys remember my friend Mae? Guess what?! The adoption is complete, and Abi is home! I literally cried tears of joy for her family! My friend Dixie/Liz/Ellie (We share the name crisis. Ha!) currently lives in Germany. Since she's abroad, we use a Walkie Talkie (and texting) app called Voxer. 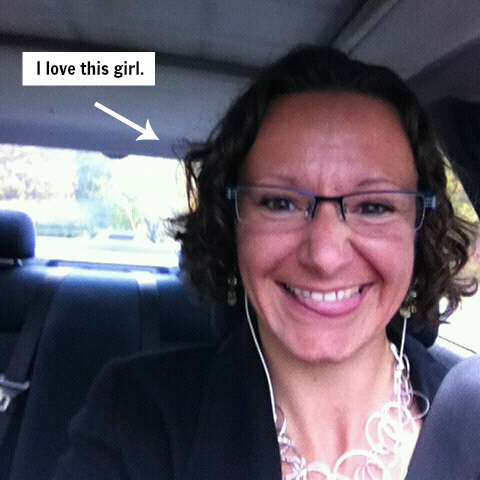 This week, she sent me a picture of her new Firmoo glasses with the message "My new glasses for under $10, thanks to you. They just arrived today!" You can't beat that. Firmoo, you are too good to we glasses folk. You get your first pair FREE, y'all. If you know any aspect of theatre, you will love What Should We Call Actors and How Do I Place That? Instant pick-me-ups. I've decided that Lauren is my favorite kind of "bad influence." 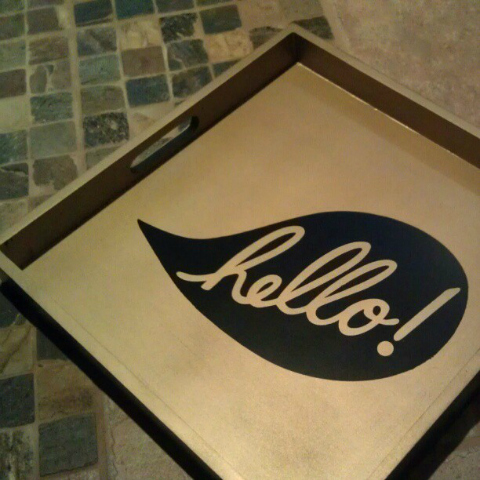 She tweeted a photo of her new hello tray from Target, and I bought one that night. Couldn't resist. I don't have anywhere to put it right now, but I couldn't resist. love the try! so cute! Hope you have a fabulous weekend dear! I have been eyeing it for months. MONTHS! I hope you get to relax a little this weekend! That tray is so cute! I saw it on clearance the other day. I would've considered buying it, but I have nowhere to put it in my teeny tiny place. I've been reading about the adoption! Absolutely incredible to read! I'm sorry your eyes are strained, but tis the seasons of school and work, right?!?! And I loveeeee Voxer!!! It's seriously walkie talkie mode! Love your new parlayyy tray too! Super adorbs and glad you found it at Target!! It's always a hit and miss with em! I want that tray SO bad. I couldn't find it at The Woodlands Target when I went on Monday! Sad day. I have a weakness for Tarjay too. Good luck with all the studying- hang in there! Hurray for Voxer and cheap glasses! Oh, and YOU! Love those two tumblr links. Wonderful news about your friend and her daughter. Shen Yun looks AMAZING, I hope you post a full review when you go! ... and that tray is darling, what a great accessory to make a room more fun. Hope you have an awesome weekend Lindsay! I love that tray!!!!!! And I totally want one now too! LOVE that tray! Whenever I go to the states Target is one of my first stops haha. Wooohooo for Fridays! Good luck in your studies! That tray is adorable, and I am looking forward to my firmoo glasses as well! Also sooo happy for your friends adoption! That is wonderful! Just wonderful!